A third Mexican priest this year has been killed following a violent attack at his parish just outside Mexico City. Luis Lopez Villa, 71, was killed by intruders at his San Isidro Labrador parish in Nezahualcóyotl on 5 July. An initial police report said his hands and feet were bound with tape and that he suffered two deep wounds – “one on the neck and one on the left side of the chest”, reports Fides. “With great pain and dismay we inform of the death of our diocesan priest … who was killed by criminals,” said a statement from his diocese. Earlier this year, on 26 March, Father Felipe Carrillo Altamirano was killed in Nayarit state. Previously, in January, the Bishop of Saltillo in Coahuila state, José Raúl Vera López, went missing and was later found dead. In June, the director of the Catholic Multimedia Centre in Mexico said violence against the clergy is “increasing” and that “nothing concrete has been done to stop it”. Fr Omar Sotelo told Fides: “Our people, we know, are permanently exposed to crime, but especially now the priesthood is becoming a dangerous ministry. For the last seven years, Mexico has registered the highest number of priests murdered”. Fides reported in June that in the past five years, 17 priests have been assassinated, two are still missing and two suffered attempted abduction. Violence related to organised crime is “perhaps the most significant threat to Latin America’s Christians”, according to Dennis Petri from the Christian charity Open Doors. Given that as many as 90% of Mexico’s population would identify as Christian, Petri told World Watch Monitor in April that “it’s important not to look so much at their identity as Christians, but more at their behaviour that results from their Christian convictions. Whenever a Christian starts to engage in social work – for example setting up a drug rehabilitation clinic or organising youth work, that is a direct threat to the activities and interests of organised crime because it takes the youth away from them, so it is a direct threat to their market”. Christians are also targeted because of the perception that churches and their leaders have a lot of money, so congregations offer a ready source of cash – cartels can simply enter, lock the doors and ask the congregation to empty their pockets. According to Voltaire Net, two drug cartels in particular, Los Zetas and Los Caballeros Templarios, are intimidating and extorting money from Catholic priests and attacking other religious leaders. In June, a Catholic priest in Tijuana, on the US border, had a screwdriver rammed into the side of his head, as Televisa News reported, leaving him seriously injured. 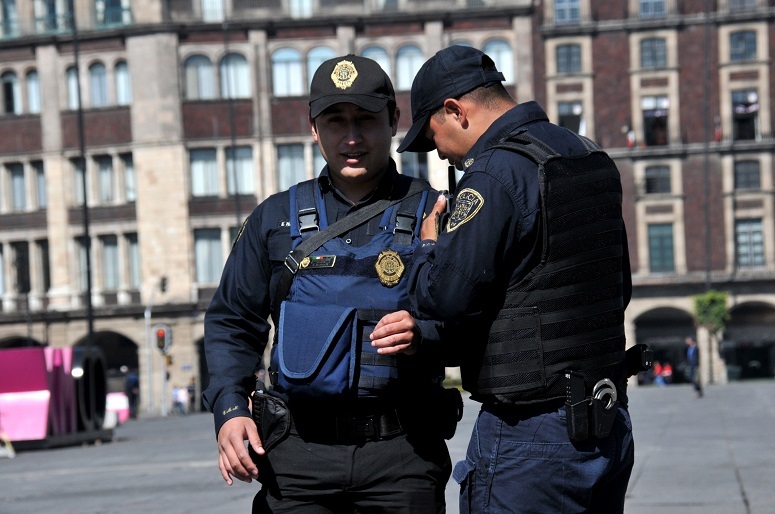 “Mexico is a case study for attacks on Catholic priests and government inaction,” says Rossana Ramirez from Open Doors’ World Watch Research unit. “As concluded by Crisis Group in a report dated 15 June 2017, the government should end its policy of denial and eradicate corruption and alliances between criminals and various state officials, and end the deep political and economic disparity between the majority of the population and the national elite.